Get some historical perspective at Santa Bárbara Castle and Guadalest Valley. You'll visit kid-friendly attractions like Playa Gandia and Arenal Beach. Change things up with a short trip to La Mata Beach in Torrevieja (about 50 minutes away). Next up on the itinerary: get engrossed in the history at MARQ Provincial Archaeological Museum. 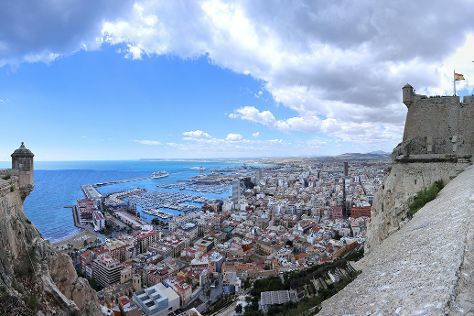 To see reviews, photos, ratings, and more tourist information, refer to the Alicante custom trip planner. If you are flying in from Ireland, the closest major airports are Alicante International Airport, San Javier Airport and Valencia Airport. In March, plan for daily highs up to 22°C, and evening lows to 9°C. Finish your sightseeing early on the 16th (Thu) to allow enough time to travel back home.